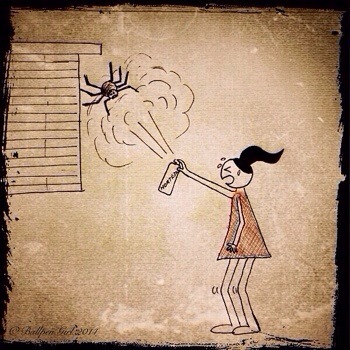 Ballpen Girl and spiders do not coexist well… After half a can of Mortein and with spray dripping down the wall, surely it is dead!!! Okay, I just need someone to take away the carcass. This entry was posted in Life and tagged life, spiders. Bookmark the permalink. ← Something to remember as a new year’s resolution?